Float's recap on the Learning Solutions Conference and Expo 2016 grants you access to Chad Udell's presentation slides and his interview with Bill Brandon. Float managing director Chad Udell will be speaking at this event in a concurrent session titled The Missing Link: Data Interoperability from Learning Systems to Operations. 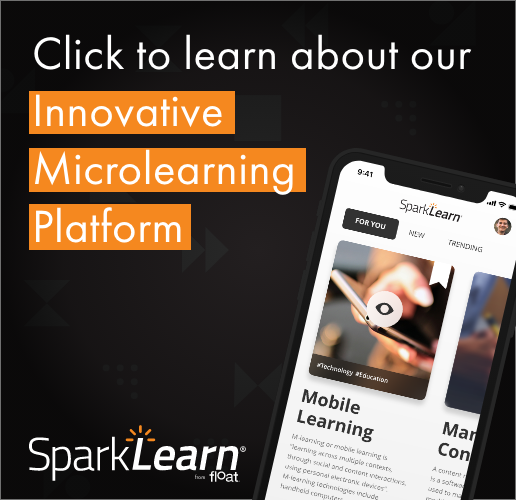 Get the full Slideshare presentation from Scott’s presentation on using game elements in mobile learning apps at Learning Solutions 2015. If xAPI is on your organization's roadmap for 2015, you owe it to yourself to get to Orlando and soak in the spec, as well as the sun. Learning Everywhere author Chad Udell says the eLearning-to-mLearning conversion button does not exist.